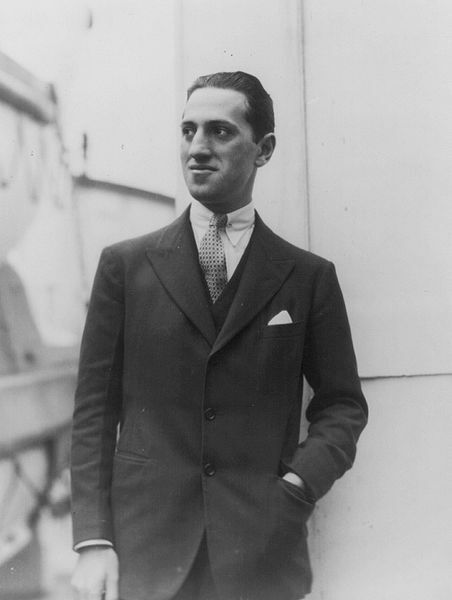 The Gershwin brothers wrote successful individual songs that are still popular today. Some of these hits are Embraceable You , I'll Build a Stairway to Paradise , The Man I Love , Summertime, I Got Rhythm and A Foggy Day. When not writing for the stage, George and Ira Gershwin were busy writing music for the movies. Some of their many hits were Shall We Dance and Damsel in Distress (both in 1937). George Gershwin was always thinking about his serious compositions. One of his successes was Concerto in F (1925). After traveling through Europe, he wrote An American in Paris (1928). He was disappointed when his Second Rhapsody and Cuban Overture (both in 1932) were not well received.